5-Part Webinar Series: Endpoint Protection…what really matters? Threats are becoming more sophisticated with new attacks becoming commonplace. These unknown threats can be devastating for an organization making endpoint protection more critical than ever. The best weapon in your endpoint protection arsenal to combat unknown threats is Machine Learning. 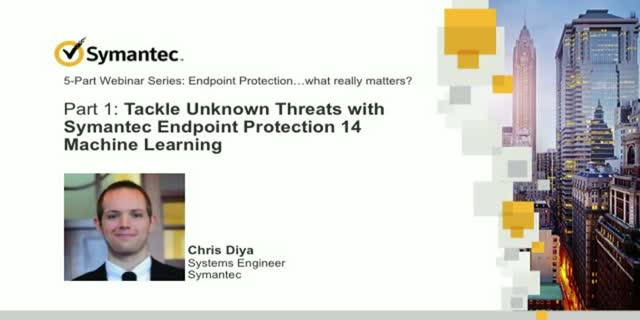 In addition to a lively discussion we’ll also show you Symantec Endpoint Protection 14 in action, with a demo that showcases how unknown threats don’t stand a chance.